Here is #2 in the Paisley Cartridge series. Today we are working on the card/tab function key. I had fun making this card and I really like how it came out. Thanks for this - I'm off to have a go!!! Thanks so much for the video Christina. IT was very helpful. I saw them do a Paisley card at Ruby Slippers I think on You Tube and they didn't resolve how to make sure the tab in the back didn't peek through. The liner you added to your card resolved that problem. Great job. What a pretty card! I love your paper choices. You've just proved I need to look more closely at my handbooks, I didn't even know paisley cut out such cute cards, thanks for bringing that to my attention, lovely card, I love your style!! Wow, that's a really great card. I love the sanded embossed paper you added. Beautiful card Christina, thanks for all of the trouble you go to for us. Thanks for doing this. I saw another video about doing the card and it didn't really look nice and kind of seemed like a worthless feature. Your card is beautiful, now I'm much more likely to want this cartridge. I didn't even think I needed this cartridge until I saw your video. What great talent you have! Love the video and the card. I'm soooo glad I got paisley! Thanks for all the hard work! Now you've made me want this cart. Love u for doing all these videos. Soooo motivating for us. You do really nice videos. Easy to follow and you don't go off on other tangents. AWESOME!! I really like the colors you pick for all your cards. What a nice card, Thanks for all the videos, love them all. Another Cart I must have. As always I love your choice of paper. And I'm so excited! My Blue Cricut is on its way!! Thanks so much for sharing the things you learn... They are so helpful... You are the best! Ah, Man!!!! I thought I had myself talked OUT of this cartridge!!! Not now!!! haha Thanks for another great video, Christina!!! Love this card! Now I can't wait until I get my cartridge. So many ideas now. Thank you for showing us how it's done!!! So pretty! I love the swiss dots showing through the front. This is really great, thanks for sharing. Can't wait till the next video, love this cartridge! I got this cart and thought I should have got another one instead. but now I have seen you demo the card feature- I can't wait to give it a go. I love the butterflies. The card came out great. I don't have this one either. You change cartridges every two weeks right? Love this card and envelope. Thanks so much, Christina. What a neat cartridge! Love the card! Super cute and I have to play with that cartridge. Thanks for doing all these wonderful videos. Beautiful card! I too didn't want this cartridge until I saw your intro to it. I went out right away and bought it. So glad I did. I've been using it all week! WOW! As always, you've done an amazing job. I'm really starting to like that cartridge! Thank you, your videos are great. Thanks so much for sharing. Love your videos. You make card-making easy and simple, and you make me want every cricut cartridge. I didn't think I'd have a need for paisley....now I gotta have it!! That you so much for showing the card/tab function. I couldn't figure out what to do with the tab. And I didn't realize pg. 64 was an envelope either. This cartridge is quickly moving to the top of my favorites list! This is an amazing card! I love it. I'm brand new to all this. Only made one card so far. Don't have many cartridges yet... you go pretty fast for me. But glad I can watch over and over. This is the cutest card! I love the way you showed how to do the inside and the envelope. Thanks so much. Your video are wonderful and so helpful. I love this card. Your choice of paper and establishments made a beautiful card and envelope. Thanks for your videos. I love this card, Christina! Great job, as always. I have been enjoying your videos, and appreciate all the hard work you put into them. Christina, love your videos! How do you do it, being so busy!!! Totally enjoy them. Keep up the great work! Got a question for you....I am a novice at this youtube recording stuff. Can you tell me how you learned to position the camera so that you can talk and work while you record?? I am trying to figure out how you do all that work and the camera doesn't move!!?? Help! What a beautiful card Christina!! I love butterflies! This card was perfect! Thanks again for sharing! This is adorable. This cart is ony my wish list. Thank you for doing all these videos. I love your paper selections too. Thank you for adding the embellishments. I can usually cut the card fine but sometimes have trouble embellishing it so it looks finished. Thanks for the video,I just love to find new things on my carts thanks to you! Cute card Christina!! Thanks for demonstrating the card feature! Thanks Christina for the video. I watched it yesterday and made one with your directions. Thanks. that is too cute, thanks for sharing. I can't wait until I buy this cart! LOVED this card and video. Thank you so much for taking the time to show us the cards and special features of the cartridge. Those are the ones that are extra confusing to me, and it helps so much to be able to visualize them. This was the best. I'm so excited that you are showing us some of the extra steps you take to make your cards so cute. The embellishments are what makes the card so special. Great card and great information. I just bought this cartridge this past week and can't wait to play with it tomorrow. I love all of your videos. Thanks for showing us your techniques. This card is very cute. Love it. Great video as usual, love the card, now I have to run out and get the cartridge! Thanks for all your hard work! Christina, that card turned out so nice! I love how the paper peeks through the center of the butterfly. Love the papers and the design. Now all I have to do is buy the Paisley cart!! Good Job. Absolutely loved that card. It was beautiful. Hi Christina...this is such a lovely card and your video makes it look so easy! I just wanted to let you know that your card and a link to your video will be featured on the Fantabulous Friday segment at Fantabulous Cricut Challenge Blog tomorrow (Feb 18). 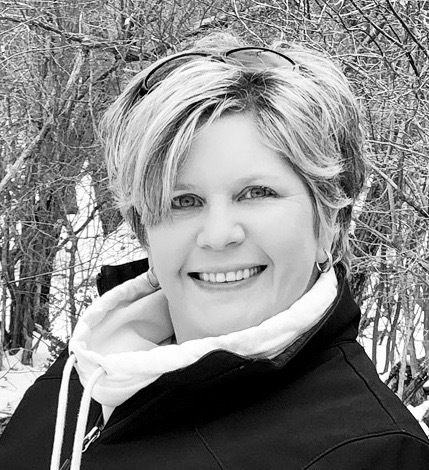 Thanks and please stop by! Love your card, thank you for the video, it's great to see how some of these cards are to be put together. 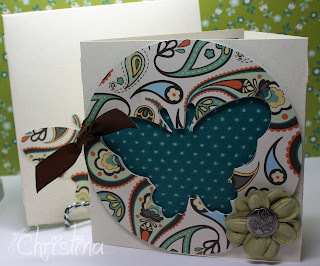 I just discovered your blog this morning and loved the video you did on this butterfly card. I was so inspired, I sat right down and tried my hand at it. So fun! Here's my version, thanks to your inspiration, if you care to take a peek. http://tomshack.blogspot.com/2011/02/feels-like-spring.html I really like your blog and have added it to my Google Reader so I can keep up with your projects.